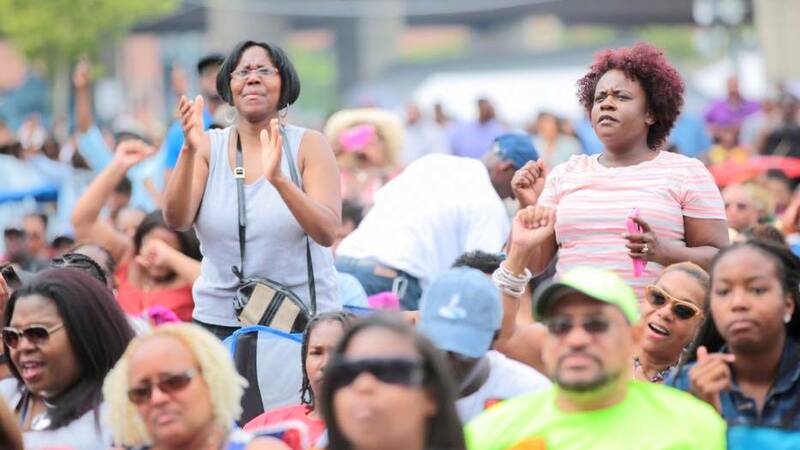 Last year by mid-March, fans of AFRAM knew who the entertainers would be at Baltimore’s annual summertime celebration of African-American culture, music and art. This year, with eight-days to go, the entertainment line-up remains unannounced. Line-up announced 8/8/17. 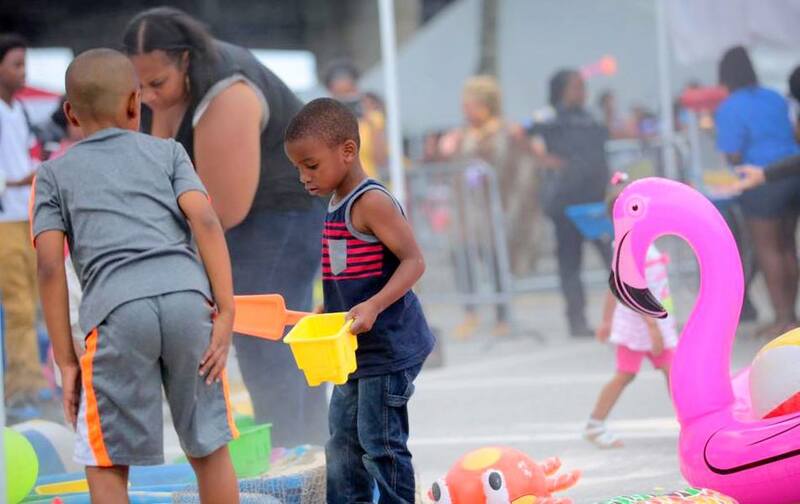 Mayor Catherine Pugh has shifted what’s formally known as the African American Festival from two days at Camden Yards downtown to one day at Druid Hill Park uptown. Given that Pugh has decreed her first AFRAM will be “a local celebration,” it’s safe to say it won’t be featuring national acts like last year’s Grammy-award-winning headliner Common. Across the city, reaction to the downsizing has ranged from disappointment to seething anger. “It was a safe alternative space for the black community to gather, people would look forward to it all year. It was a beautiful, peaceful event,” said Christopher Ervin, who worked as a photographer for the organizer in past years. More blistering were the commenters on Pugh’s Facebook page, with many noting that city festivals without a specific black-culture focus, such as the three-day Artscape and Baltimore Pride events, have not been shortened. “Madam Mayor, you realize that you’re helping to destroy one of the few festivals that people used to come from miles around to enjoy! One day? Are you serious?” one woman wrote. It fell to director of public affairs Anthony McCarthy to respond on behalf of Pugh, who was elected last year and sworn in last December. “We are shifting the AFRAM focus back to a local celebration of talent, culture and the arts,” McCarthy wrote in a statement to The Brew. In his remarks, McCarthy portrayed the downsizing as a sort of experiment by a new administration. 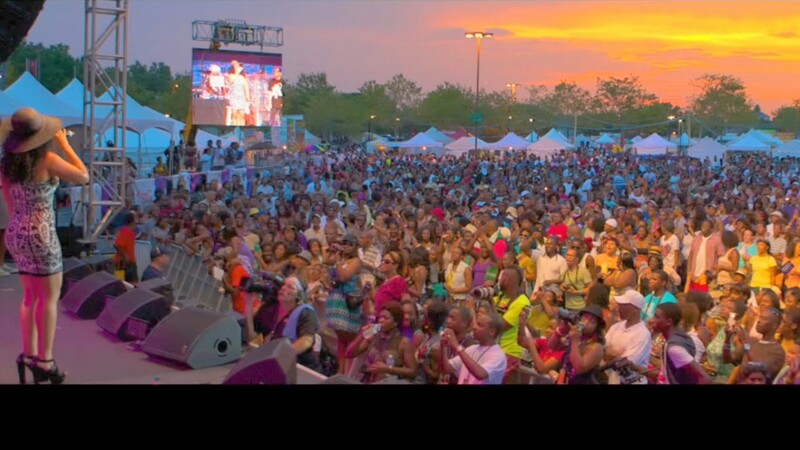 Under the previous mayor, Stephanie Rawlings-Blake, AFRAM became a big-scale event and featured nationally-known entertainers. The organizer, greiBo K Designs run by Shelonda D. Stokes, boasted on its website of having grown attendance from 20,000 to 200,000. The festival, which celebrated its 40th anniversary last year, differs from other local festivals in that it is not run by the Baltimore Office of Promotion and the Arts, but directly by the Mayor’s Office. After The Brew disclosed the festival downsizing plan in May, Pugh confirmed that rising costs for the event were her main concern. As The Brew reported, greiBO’s yearly fees to manage the event jumped from $300,000 to $535,000. Over the multiple years of her involvement in the festival, Stokes was paid more than $2 million to design, promote and raise private funds for it. Stokes told The Brew that she brought in sponsors, including Toyota and Pepsi, to help defray the roughly $1.2 million cost of putting on the two-day event. Stokes, whose contract to run the festival was not renewed this year, said she views the scaling-back of AFRAM as “a pro and con” move by the mayor. Critics weren’t buying this, with many pointing out the lack of parking at the new Druid Hill Park location. Compared to the availability of bus and Light Rail at Camden Yards, transit options near the Park are fewer and less convenient, many also said. Construction for water tank installation limiting some access now at Druid Lake, some noted, adds to the inconvenience. A few online commenters praised Pugh’s choice of the park. But overwhelmingly, the reaction has been negative, feeding into one critical narrative dogging Pugh’s young administration. Young stages an influence-peddling purity test – and Baltimore passes! Sequins, steely Santas and hunks of burning love at the Night of 100 Elvises. Photos by Jennifer Bishop. Antero Pietila looks at Baltimore’s racial divide through the prism of its most important private institution. Please read our moderation policy before leaving a comment.